I was working on something in our campervan in a parking lot in Jurien Bay, Australia, when my girlfriend suddenly came rushing, only able to say 'OWL, I FOUND AN OWL!' 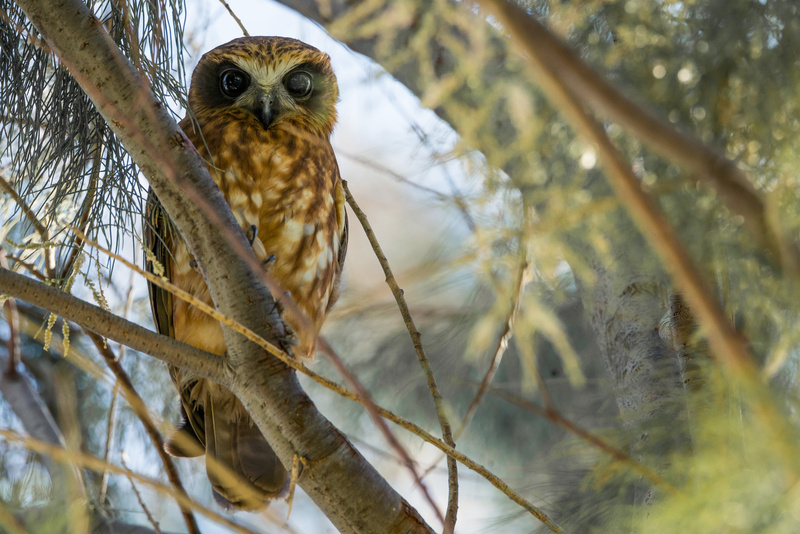 I grabbed my camera and there it was, an incredibly cute Boobook owl, about 3 to 4 meters up a tree. I was able to get this frame which somehow makes it look more like a head-on shot instead of a photo shot from below.